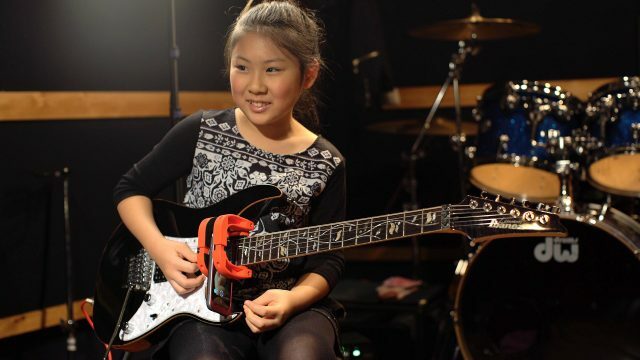 If you’ve seen 10-year-old Japanese guitar phenom Li-sa-X’s YouTube performances, you’re probably as impressed as we are. Her preternatural ability on the instrument has garnered millions of views, frequent Guitar World coverage, and even a spot in a TV commercial! Bookended by blazing shred performances, this interview provides a close up look at Li-sa’s technique, and shows her a quick student of challenging technical exercises. This is a great example of how advanced mechanical ability can develop at a young age without overt instruction. Marty Friedman, whose command of the Japanese language now rivals the fluency of his playing, was kind enough to guest host on this one!